Water emergencies usually include an element of surprise. This can make household water damage hard to predict and equally difficult to prevent. Still, paying attention to specific warning signs—and taking preventive measures in a timely manner—can help reduce the probability that you’ll be taken off guard. “Minor” plumbing leaks. Any and all leaks in household water supply lines should be cause for immediate concern. A tiny weeping pinhole in a supply line might appear inconsequential, but it could be external evidence of advanced deterioration inside the pipe that could trigger a catastrophic rupture at any time, flooding your house. Same goes for other apparently innocuous signs such as moist seepage around pipe joints. Call a plumbing professional to resolve all pipe leakage issues—minor and otherwise—before one of them turns into a water emergency. Aging water heaters. Nearly half of all water heaters will develop a tank leak due to internal corrosion before they are ten years old. Early warning signs (if there are any) are minor puddles on the floor around the unit—easy enough to mop up and put off further action. However, small leakage often indicates that total tank failure, including significant indoor flooding, is only a matter of time. Consider preventive replacement of a water heater before it reaches the 10-year average service life, whether it’s leaking yet or not. Ruptured washer hoses. Many residential washing machines are installed with reinforced rubber hot and cold water supply hoses connected to valves on the wall behind the unit. In as little as three years, rubber supply hoses may become brittle and unexpectedly rupture with no advance warning. A burst washer hose will typically release over 650 gallons of water into your house every hour until water is turned off. If no one is home at the time, water damage can be extensive. To avoid the unexpected, don’t wait until rubber washer hoses exceed their safe service life. 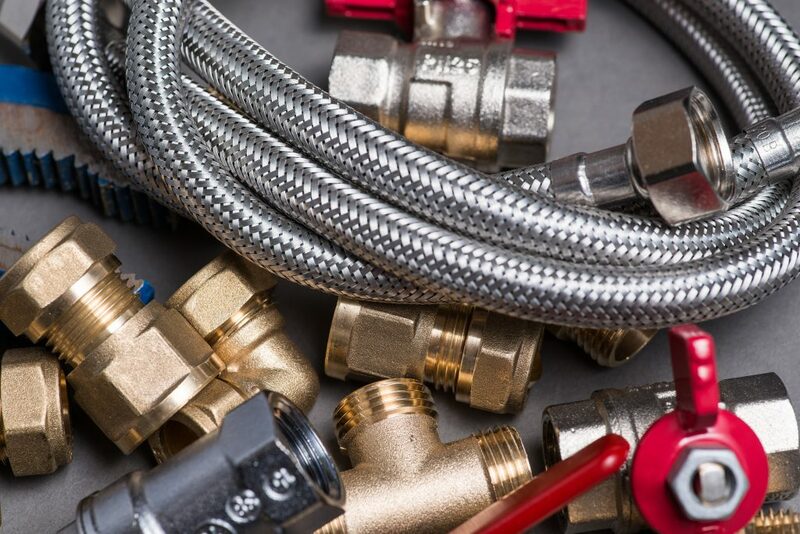 Replace with braided stainless steel lines that will reliably extend the service life. This entry was posted on Tuesday, April 2nd, 2019 at 6:53 pm and is filed under Water Damage & Cleanup. You can follow any responses to this entry through the RSS 2.0 feed. You can leave a response, or trackback from your own site.